Carpets should be deep cleaned at least a few times in the year. General vacuum cleaning won’t remove the ground-in dirt and stains, stuck in the carpet fabric. If your carpets need professional and thorough cleaning, rely on us to provide it and achieve the desired results. Our carpet cleaning services are at your disposal in SW3 Chelsea, Earls Court, Fulham and South Kensington at very affordable prices. All you have to do is contact our company and schedule a free inspection of your carpet. After doing this, you will receive a free quote. Choose us and we will deliver outstanding results for a price considerate for your budget. Let our staff handle the carpet cleaning which you need and you won’t regret. Use our call centre, booking form or online chat for more information about what we do. We would love to talk to you about our invaluable team of specialists, their winning techniques and the high-class products and equipment they use to guarantee you quality results. Our carpet cleaning services in Chelsea can be used in domestic and business properties. Turn to our representatives to schedule an appointment for a time and place of your convenience. We work flexible hours seven days a week. Our staff inspects the carpet closely and choose the most appropriate methods, detergents and machines to clean it. The soiled areas and blemishes will be treated accordingly with non-toxic chemicals safe for your health and the environment. Then, our cleaners apply dry or steam cleaning, depending on the carpet fiber type. ﻿Our steam and dry cleaning machines effectively extract dust mites, dirt, bacteria and grime. 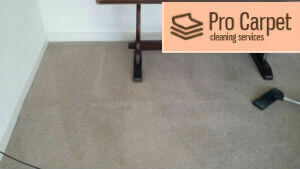 After completing the cleaning process, if it is necessary, the carpet will be dried using specialised machines. We will make sure you receive a swift service and you won’t have to wait for days before your carpet can be safely used again. Quick dry time is important to prevent mold and dirt from setting in. In the end, every carpet is deodorised and groomed to ensure its presentable look. 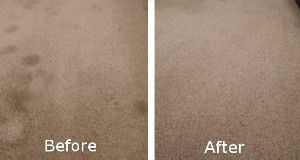 We will also use protective spray, which will guard the surface from future damage and prolong the life of your carpet. 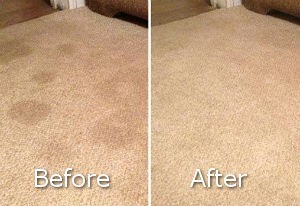 After our staff provides the necessary cleaning, your carpet will have its original colours. The methods which they apply are excellent for removing of dirt and refreshing carpets in depth. We will bring back its shiny state and make it look as good as new again. Trust the expertise of our specialists. They have the necessary training and experience to deliver you proficiency no matter of your situation. If you are looking for someone who is hard-working and dedicated to their job, turn to our cleaners. They would go the extra mile to make you a happy carpet owner. Make a request for their services and say goodbye to your carpet cleaning problems. We know how to deliver a memorable service that would satisfy the needs of your carpet and meet your expectations. Pro Carpet Cleaners. All Rights Reserved.